The Breakfast Burger is born…. 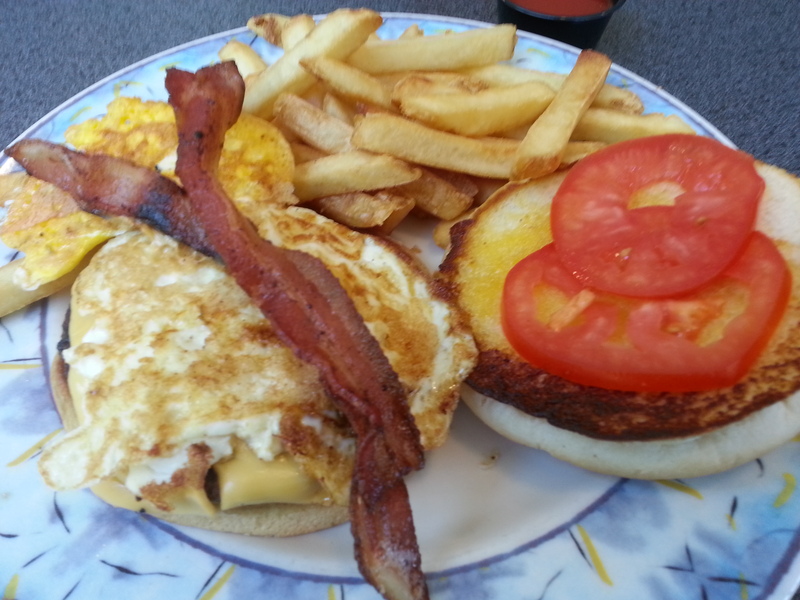 “The Breakfast Burger”. Named not because it was served at breakfast, but because it included breakfast on it. A cheeseburger topped with fried egg, bacon and BBQ sauce bought this tasty treat a special place in my heart. It is quite possibly my favorite combination of burger toppings.